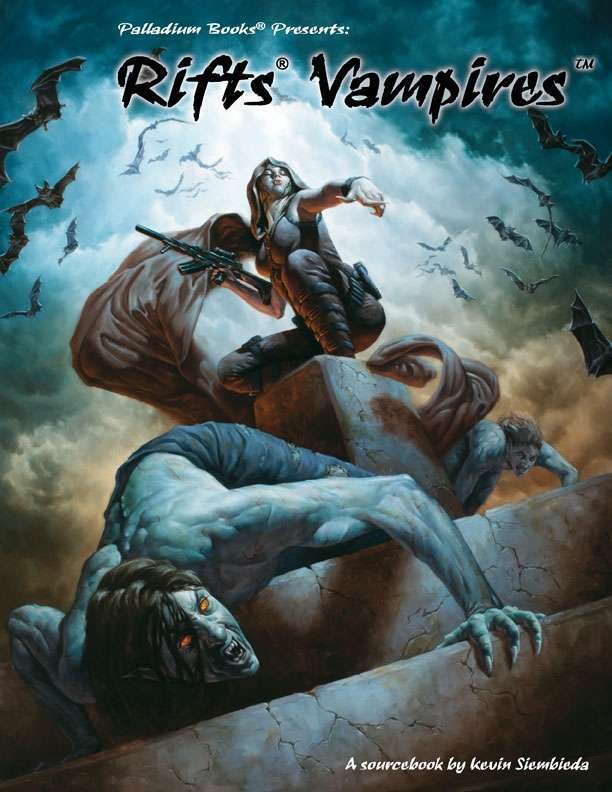 Vampires Sourcebook is the epic companion to Rifts® Vampire Kingdoms™. It takes an in-depth look at notable heroes of Mexico such as Doc Reid and the famous Reid’s Rangers, other Vampire Hunters, Hero Necromancers, the Maya deity Camazotz, Werejaguars and other Werecats, Fort Reid, Silver City, Tampico Protectorate, and many, many others. The Vampires Sourcebook brings to life the Vampire Lands of Mexico and seethes with conflict and adventure. Stats and history for Doc Reid and the leaders of Reid’s Rangers. Human strongholds such as Tampico, Monterrey, Silver City and others. Desert survival rules, countless ideas for adventure and more! 176 pages, written by Kevin Siembieda and others.